While the tools to make music have evolved in leaps and bounds since the advent of electronics, it’s fair to say that listening configurations have moved at a less than revolutionary pace. Despite the emergence of professional and consumer surround-sound systems, most live performances still rely on stereo (or even summed mono) sound, with an audience hearing most of the music from one direction. 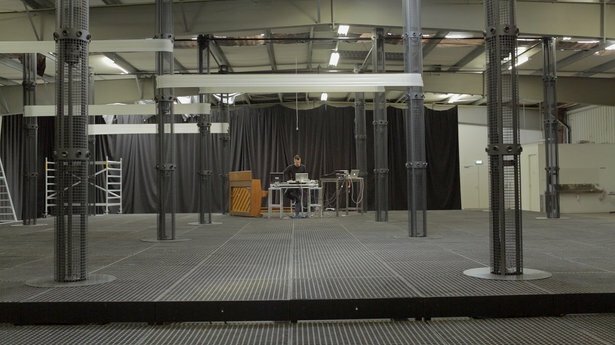 Enter Amsterdam-based 4DSOUND - a new immersive system which allows for evolving changes in three-dimensional positioning of sound (time being the fourth dimension here). An expansive array of speakers, a Max-based core, and custom Max for Live devices allow for sound to be positioned anywhere within the system’s space (and beyond). We filmed the team in Amsterdam to find out more about the way they’re challenging performers and listeners to embrace new paradigms of performance & listening, and how they use Live to help them achieve that goal. If you’re heading to the Amsterdam Dance Event this year, don’t miss a week of workshops, performances, and a hack lab, curated by 4DSOUND and co-sponsored by Ableton. Learn more at CDM.